When your project is so steep that it always casts a shadow, that’s when you bust out these secret weapons. 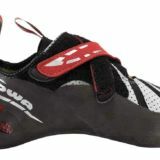 Built for overhanging sport routes and hard bouldering, the Shadow features an aggressive, downturned last with our sticky rubber that’s molded—inspired by the way we forge our carabiners—and not cut from one sheet of rubber. This is our engineered solution to optimize our shoe’s rubber and rands for weight, consistency and comfort. The Shadow features a stretch resistant microfiber upper, and the shoe’s vamp features an innovative combination of printed and molded high friction rubber. 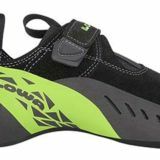 The molded rubber is strategically placed in high-use areas, while the printed rubber minimizes bulk, and in combination, these rubbers provide better top of foot dexterity and purchase when toe-hooking. The tongue is made from our Engineered Knit Technology, which is exceptionally breathable and increases mobility and comfort. 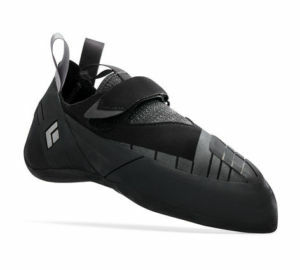 With a minimalist midsole, the Shadow is ultra-sensitive and allows you to pull in on steep terrain.